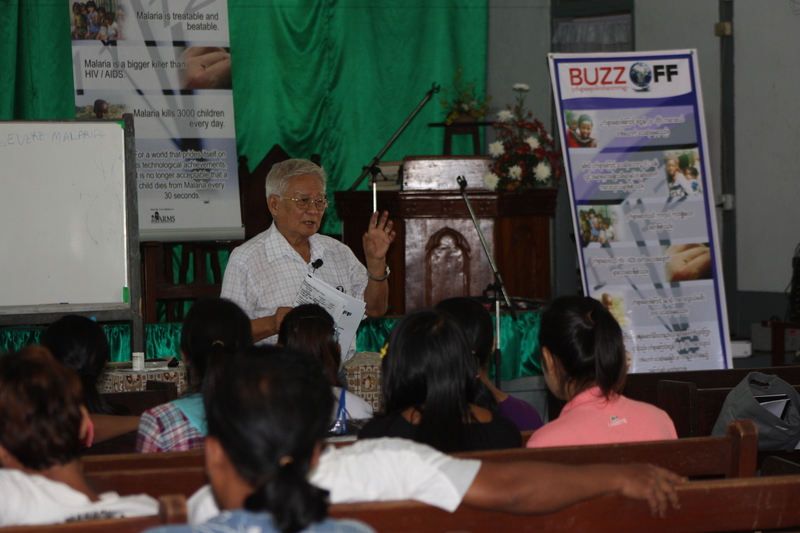 Buzz Off, Australian Mercy’s malaria initative has completed another sucessful series of seminars in Greater Burma. This year the seimars were held in Mon State and Bago. Nearly 100 people attended the 4 day seminars and 86 cetificates were presented to people who completed the training. More than 10 remote villages were represented in the seminars with people travelling as from as faraway as Kachin and Karen states to attend the training. This year we had three extra trainers from Holland on hand it was great to have them with us and to instill the vision of buzz Off into them from the perspective of on site training. This years seminars bring the number of certified trainees to over 450. Which is amazing! After the seminars concluded, a scoping trip into Chin State was carrid out at the invitation of a local NGO named ABC Myanmar who approached us last year to go to Chin State and to see if there was not an opportunity for us to engage with them there. The scoping trip provided for us a very broad outline opf some of the challenges that are being experienced in that region of Myanmar and the Australian Mercy Board will be looking at ways in which it may be able to assist ABC and other Community based Organizations in that region. So the 2013 seminars were both sucessful and challenging and much thought will be put into how to approach the campaign in 2014. However our funding for these seminars has run out and we need to raise funds for the 2014 seminars which could well include 4 seminar sites instead of the usual 2. Buzz Off will look at running seminars aimed at Chin State in Kalay in the 2014. The 2013 seminars were made possible by the generous support of our friends at The Entrust Foundation. Entrust and their donors provided us with $15,000 to cover the costs of these seminars and the scoping trip we made into Chin State, but we need to find a major donor /sponsor for the 2014 seminars and beyond. We have approached the Australian embassy in Yangon to assist us in covering the costs of printing the seminars handbooks and other printed materials, but will not have an answer from them until later in the year. It seems that the Buzz Off Burmese website (myanmar.buzzoff.org) has caused a stir in Yangon. The site was discovered by the Myanmar Times who are doing a major story about it and the Government radio station has also interviewed our Yangon Manager, Elizabth Nwe on air about the campaign, this broadcast will go out to remote villages all around Burma. So all the news about the seminars all good. We want to thank out donors and expecially our friends at Entrust for their support in making these seminars possible.